"Economy of the Republic of China" redirects here. For the economy within the Republic of China during the period when it controlled Chinese mainland from 1912 to 1949, see Economic history of China (1912–49). For the economy within the present-day People's Republic of China, see Economy of China. Agriculture has served as a strong foundation for Taiwan's economic miracle. After retrocession from Japan in 1945, the government announced a long-term strategy of "developing industry through agriculture, and developing agriculture through industry". As such, agriculture became the foundation for Taiwan's economic development during early years and served as an anchor for growth in industry and commerce. Where as in 1951 agricultural production accounted for 35.8% of Taiwan's GDP, by 2013 it had been vastly surpassed and its NT$475.90 billion accounted for only 1.69% of the GDP. As of 2013[update], Taiwan's agriculture was a mixture of crops (47.88%), livestock (31.16%), fishery (20.87%) and forestry (0.09%). Since its accession into the World Trade Organization and the subsequent trade liberalization, the government has implemented new policies to develop the sector into a more competitive and modernized green industry. New Taipei City is a special municipality and the most populous city in Taiwan. Located in northern Taiwan, the city includes a substantial stretch of the island's northern coastline and surrounds the Taipei Basin, making it the second largest special municipality by area, behind Kaohsiung. New Taipei City is bordered by Keelung to the northeast, Yilan County to the southeast, and Taoyuan to the southwest. It completely surrounds Taipei. Banqiao District is its municipal seat and biggest commercial area. Until 2010, the area that roughly corresponds to the present New Taipei City was known as Taipei County. Li Kwoh-ting was a Chinese economist and politician best known as the "Father of Taiwan's Economic Miracle" and referred to by the New York Times as the "Godfather of Technology" in Taiwan for his work in transforming Taiwan's economy from an agrarian-based system into one of the world's leading producers of information and telecommunications technology. 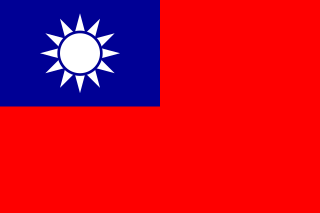 The Ministry of Economic Affairs is the ministry of the Republic of China (Taiwan) responsible for formulating policy and laws for industry and trade, foreign direct investment, energy, minerals, measurement standards, intellectual property, state-owned enterprises. The ministry is a cabinet level government agency of the Executive Yuan. Cho Shih-chao or Bill Cho has been the Deputy Minister of Economic Affairs (MOEA) of the Republic of China since October 2014. Philippines–Republic of China relations are foreign relations between the Republic of the Philippines and Republic of China (Taiwan). The Philippines maintains relations with Taiwan through the Manila Economic and Cultural Office in Taipei and Taipei Economic and Cultural Office in Manila.